Take a look at the NEW BFW Bike Desk! 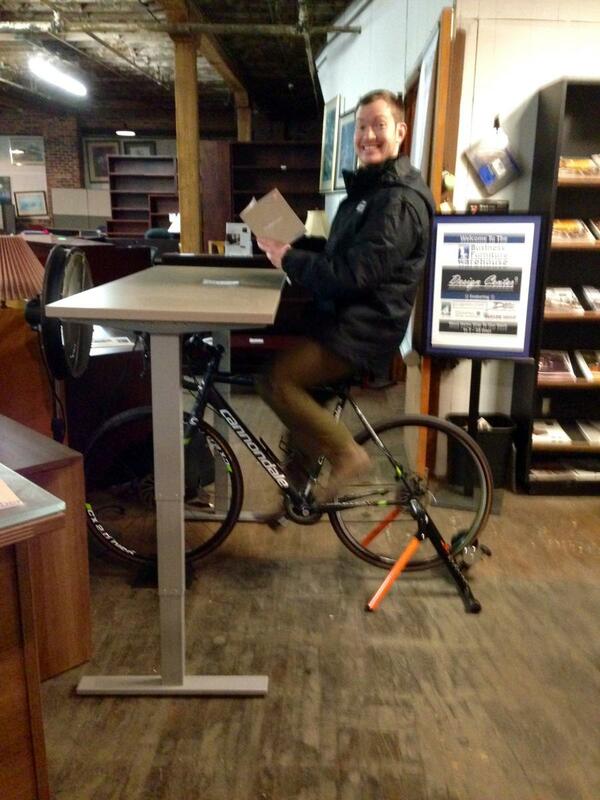 Create this great way to work fit in the new year with our new Bike Desk. Combine one of our fantastic height adjustable desks, like the Compel HiLo Table pictured, with our Custom BFW Bike Desk stands. All you need is to insert your own bike and you can work and ride at the same time! Keep your energy and productivity up while burning calories while you work! I would like to receive pricing for the following item: BFW Bike Desk.